Week 2 of ABC’s “The Alec Baldwin Show” stayed flat with its rough debut last Sunday, according to preliminary numbers from Nielsen. However, Kim Kardashian West — Baldwin’s guest for the 10 p.m. talk show — did get Alec 22,000 viewers, on average. Meanwhile, a 35-point blowout “Sunday Night Football” showdown between the Kansas City Chiefs and Cincinnati Bengals on NBC leveled the primetime-playing field a bit among the other broadcasters. Due to the nature of live sports, however, the below fast-national Nielsen numbers for NBC, CBS and Fox and are subject to adjustment. NBC was first in ratings with a 3.8 rating/15 share in the advertiser-coveted 18-49 demographic and in total viewers with an average of 12.2 million. The Chiefs’ win and its pregame show filled up primetime, combining for those Nielsen numbers. CBS was second in ratings with a 2.0/8 and in viewers with 11.4 million. 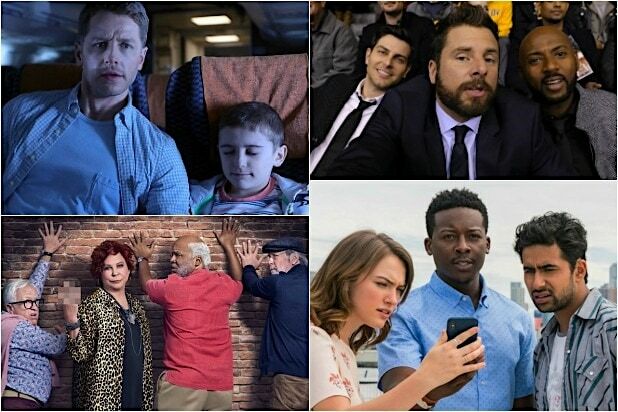 Since CBS’ primetime lineup was delayed by 30 minutes by an NFL overrun, we’re going to break down its hour-long shows into 30 minute periods. Starting at 7:30, “60 Minutes” opened to a 3.3/13 and 15.7 million viewers. The show’s back half closed to a 2.1/8 and 13.3 million viewers. At 8, the start of “God Friended Me” got a 1.4/5 and 9.7 million viewers. The second part of the drama at 8:30 received a 1.2/4 and 8.7 million viewers. At 9, the first half hour of “NCIS: LA” had a 1.1/4 and 8.3 million viewers. At 9:30, the show ended with a 1.0/4 and 8 million viewers. At 10, “Madam Secretary” began with a 0.7/3 and 6.5 million viewers. The series wrapped up outside of the primetime window. Fox was third in ratings with a 1.0/4 and fourth in viewers with 2.5 million. Following an hour of repeats, “The Simpsons”s “Tree House of Horror” special at 8 received a 1.2/5 and 2.8 million viewers. At 8:30, “Bob’s Burgers” took a 1.2/4 and 2.7 million viewers. At 9, “Family Guy” settled for a 1.1/4 and 2.6 million viewers. “Rel” at 9:30 managed a 0.6/2 and 1.5 million viewers. ABC was fourth in ratings with a 0.7/3 and third in viewers with 4.1 million. At 7, “America’s Funniest Home Videos” got a 0.8/3 and 5.5 million viewers. At 8, “Dancing With the Stars: Juniors” settled for a 0.8/3 and 4.8 million viewers. At 9, “Shark Tank” had a 0.8/3 and 4 million viewers. “The Alec Baldwin Show” at 10 managed a 0.4/2 and 2.2 million viewers. Univision and Telemundo tied for fifth in ratings, each with a 0.4/2. Univision was fifth in viewers with 1.4 million. Telemundo was sixth in viewers with 1.3 million. The CW was seventh in ratings with a 0.3/1 and in viewers with 1.2 million. At 8, “Supergirl” received a 0.4/1 and 1.3 million viewers. At 9, “Charmed” got a 0.4/1 and 1.3 million viewers.